U.S. concern about Russian military drills in the Pacific prompted Moscow to accuse the White House on Tuesday of having a "bad knowledge of geography." 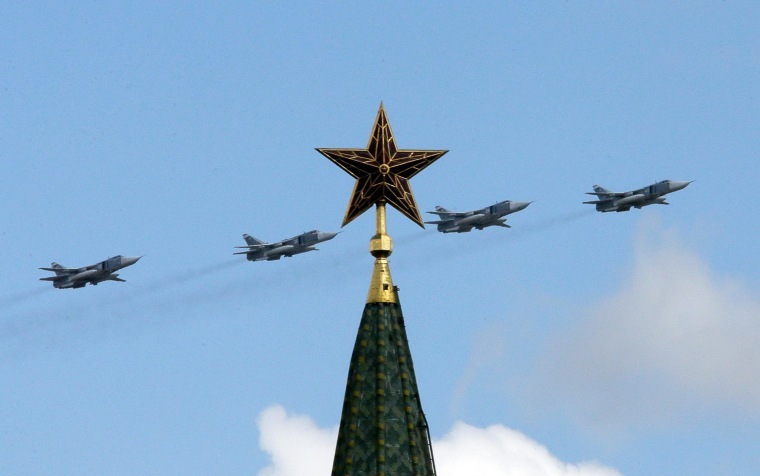 The Kremlin's wry taunt came after the head of the U.S. Air Force said Russian intervention in Ukraine had been accompanied by a significant increase in its Asia-Pacific activity. General Herbert "Hawk" Carlisle said Russian jets had flown toward the California coast and around the U.S. Pacific island territory of Guam. He told Washington's Center for Strategic and International Studies think tank on Monday that "we relate a lot of [the activity in the Pacific] to what's going on in the Ukraine," according to a report of the speech by Reuters. In response, Russia's state-run RIA Novosti news agency quoted a "top-ranking Russian Defense Ministry official" as pointing out that "first of all, the United States of America in fact borders Russia via the Bering Strait." The official went on: "So it is at least strange to consider the flights of the Russian Air Force over the neutral waters of the Pacific as some kind of a 'challenge' to the U.S.A."
The official also claimed that U.S. military activity around Russia's eastern borders had not diminished since the end of the Cold War in 1991. Making a connection between Russia's military activity in the eastern part of the Pacific with events in Ukraine could only be the consequence of a "bad knowledge of geography," adding the rather obvious point that "these regions are situated in different hemispheres." The Ukraine crisis has seen tensions rise to levels not seen in decades between the former-Cold War rivals, with numerous barbs traded from either side.